Analyst: Sony's $249 PSPgo Is "Too Much"
PSPgo, the newest addition to the PlayStation family, will carry a premium price of $249 USD when it launches this October. That's $80 more than the PSP-3000, a figure considered too high by some gamers—and one analyst. That analyst is Wedbush Morgan's Michael Pachter, who commented on the most recent episode of GameTrailers' Bonus Round that "$249 is too much. Period." Pachter agreed with host Geoff Keighley that Sony is "ripping off the consumer" at that price point, claiming that the PSPgo costs less to make than the already profitable PSP-3000. Sony, on the other hand, thinks it's priced appropriately. We talked to Pachter today to get more of his thoughts on the device and its asking price. 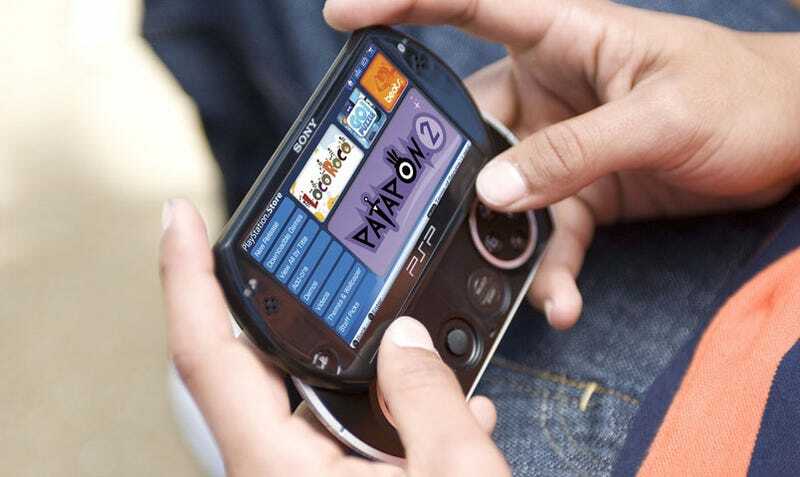 Michael Pachter says that Sony execs "made it clear that the PSP Go pricing strategy was intended to compete with the iPod Touch." "I don't disagree with them that the comparison is favorable from a technology perspective, so I can't fault their logic," Pachter said. "However, the iPod Touch has a ridiculously loyal fan base, tremendous brand awareness, gigantic advertising support, a touch screen, an app store, and a LOT of music." But the PSP is not an iPod Touch, despite sharing some capabilities. Its strengths lie in its gaming functions, Pachter admits. "The PSP Go has a better gaming architecture and better games, but lacks many of the features that the iPod Touch has," he said via e-mail. "In my view, its price should be compared to the PSP 3000, which does pretty much all the same things and is $80 cheaper." Pachter said during his Bonus Round screen time that pricing the new PSP at a price above the Xbox 360 Arcade and at the Wii's price point was reflective of the handheld costing too much. "I just am not going to pull punches and say that the price of the PSP Go is justified, since I don't think it will work at that level," the analyst said. "If it cost them $80 more, I would not have answered Keighley the same way. However, I think it costs the same or less to produce, so the increase in price means an increase in profit at the expense of the consumer. I think that Apple rips off consumers as well (look at THEIR profits), but wasn't asked that question." Sony's John Koller has said over the past week that the device will carry a higher profit margin for retailers, a tactic I inferred as reflective of the higher suggested retail price. But Pachter disagreed. "I don't think it has anything to do with retail, and truly think that Sony is right to charge what the market will bear," Pachter said. "The fact is that Sony has been subsidizing the cost of the PS3 since launch, so to say that they are 'ripping off' consumers now is not really fair, and if I could retract the statement, I would do so." But the Wedbush Morgan analyst believes the product will sell, even at that price. "I think that they genuinely believe that the market will support this price point, I just happen to disagree. It's hard to believe that Sony is giving much away to GameStop, perhaps they are allowing a 15% margin instead of the more typical 6 – 10%, but most of the "profit" on the device will go into Sony's coffers."